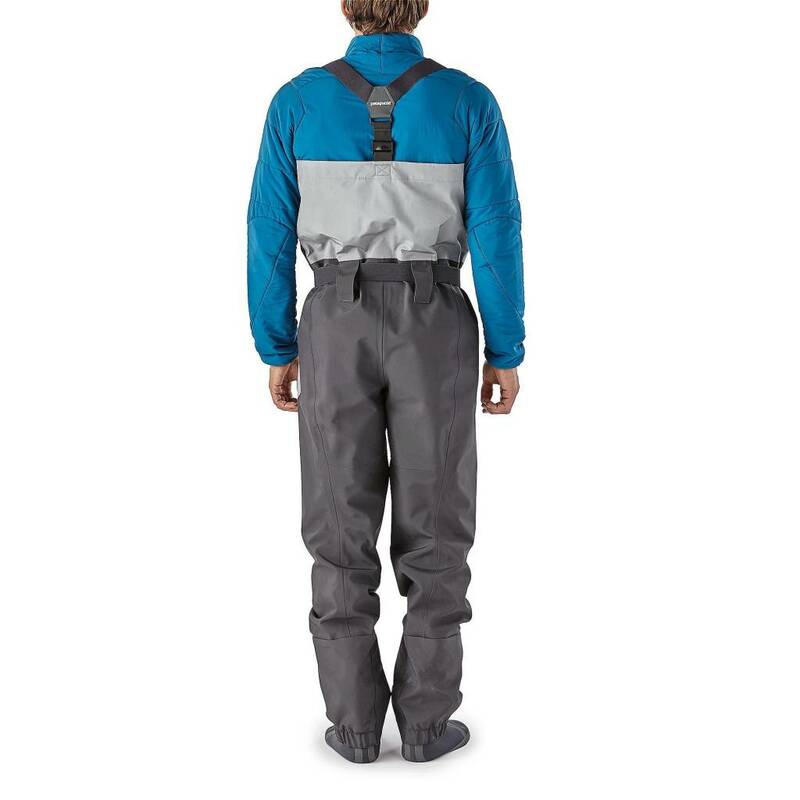 Our highest-performing, most durable and feature-rich waterproof/breathable waders, with a TIZIP® waterproof front zipper and trimmer upper-body fit that still allows easy layering. 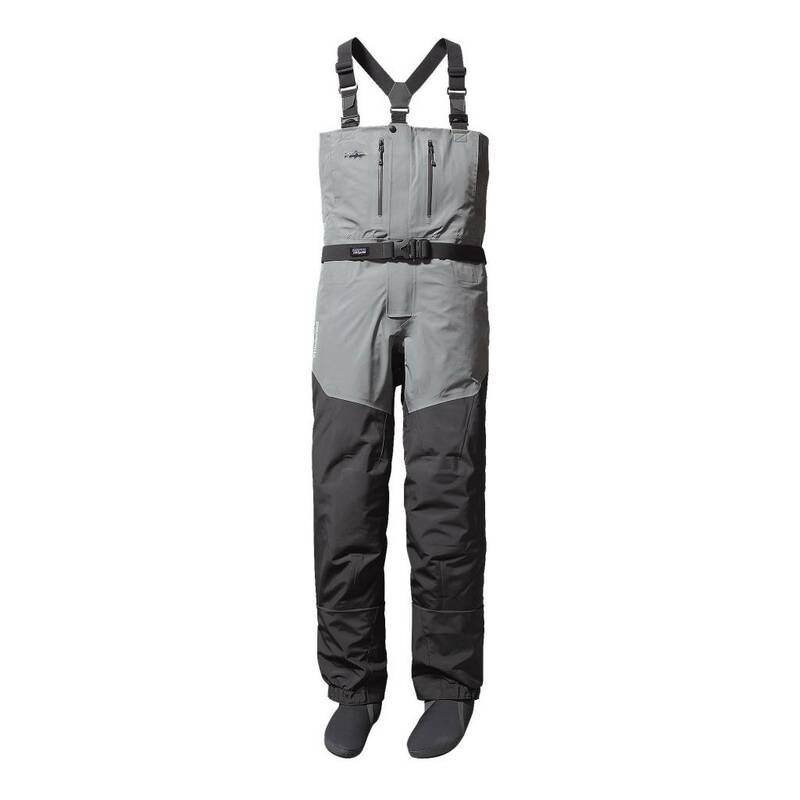 The Rio Gallegos Zip-Front Waders bring the convenience of a waterproof front TIZIP® zipper to the toughest, most puncture-resistant, waterproof/breathable wader that we know how to engineer. 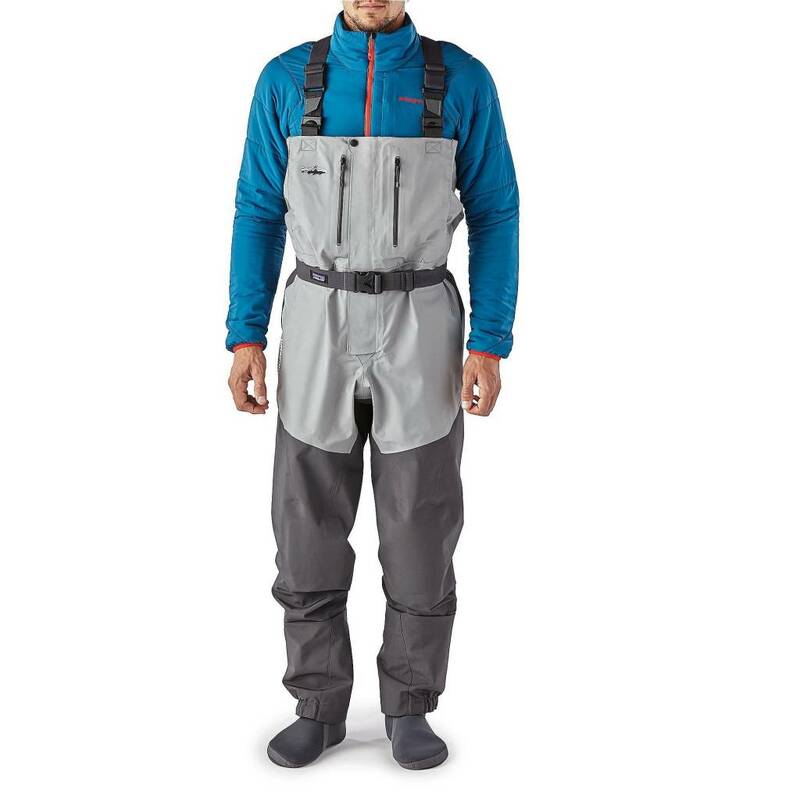 In other words, the ultimate waders now feature a fly. Our Rio Gallegos are built with strategically placed weights of an even tougher, more breathable 4-layer, H2No® Performance Standard polyester, microfiber fabric package and SSC (single seam construction) for greater durability and freedom of movement. We have completely eliminated the interior and exterior leg seams by running only one seam up the back of the leg out of the primary wear zone. The result? Max longevity and flexibility without resorting to excessive, heavy, sweat-trapping layers. Our revolutionary merino wool, grid-lined neoprene booties wick perspiration and create guilt-inducing levels of foot comfort. The 3mm neoprene maintains the warmth of 5mm neoprene but with better wicking. Our innovative internal suspension system allows easy conversion to waist height, while the front zipper offers quick, easy relief without having to remove your jacket. The exterior chest pockets feature water repellant zippers and offer both hand protection and easy access storage. An interior, welded TPU pocket provides waterproof security for cell phone, camera and keys. More features: Sculpted upper for reduced drag in heavy currents, anatomically curved knees with removable knee pads, built-in fabric gravel guards with abrasion-resistant scuff zones and 100% recycled high-filtration mesh drain strip, a quick-release DuraFlex® Stealth-V buckle for an adjustable fit and, to avoid line catch, concealed stainless-steel locking boot hooks. Field repair kit included.